Welcome to Executive Flight Centre's (EFC) Fort McMurray location. Our Fort McMurray FBO serves your aircraft needs with several amenities for both corporate travelers and fly in/fly out workforce personnel. We offer a variety of services and amenities including refueling services, ground handling, hangar space, de-icing, passenger check-in and handling, parking and much more! The next time you plan to visit Fort McMurray come and experience the Executive Flight Centre level of service. 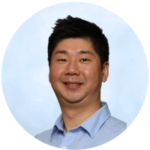 Jun Choi join Executive Flight Centre in 2011, and is currently the base manager for EFC’s Fort Murray location. Jun started his career in the Aviation industry in 1999 and has developed a wealth of knowledge from working in various roles such as Customer Service, Pilot, Management and Wing Services. He graduated from Seneca College with a diploma in Travel and Tourism in 2001 and was later accepted into the Aviation and Flight Technology program. He graduated the program successfully with a Commercial Pilot License and Multi Instrument Flight Rating. Continuing to pursue his academic achievements led him to one of the best aviation/aeronautical universities in the world, Embry-Riddle Aeronautical University. During this time he received several scholarships from the school and graduated ERAU with a bachelor degree in aeronautical science with FAA Commercial Pilot License, Multi Instrument Rating, Flight Instructor Rating an IFR Rating.